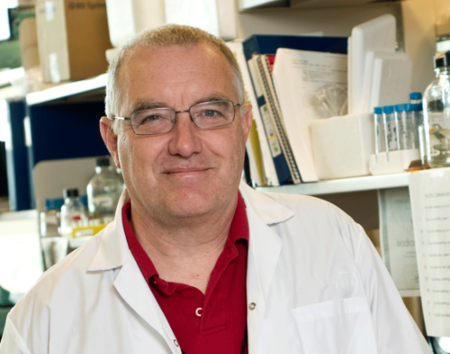 BioCanRx is pleased to announce that Scientific Director Dr. John Bell, of The Ottawa Hospital, has won the the inaugural European Society for Gene and Cell Therapy (ESGCT) Public and Patient Engagement Award. This is the first-ever honour of its kind offered by ESGCT. The award recognizes outstanding contribution to, and participation in, public and patient stakeholder engagement. This year, two of these awards were given – one for established researcher Dr. Bell, and one for early career researcher Lisa Riedmayr, a student at the Graduate School of Systemic Neurosciences and a PhD candidate at the Ludwig-Maximilians-University in Munich. Dr. Bell is recognized for his excellent work towards engaging patients, establishing dialogue, and generating learning through the BioCanRx network – particularly The Learning Institute (LI). The LI is held annually at BioCanRx’s Summit for Cancer Immunotherapy. It establishes connections between the BioCanRx research community and cancer patients, charities and NGOs by creating a knowledge exchange event to enable dialogue and understanding of science and patient needs. The intent of this engagement is to allow researchers and patient partners to become familiar with multiple viewpoints of the research process. The researcher is an expert in the research process and in his/her subject or technology area, while the patient is an expert in the cancer journey and the cancer clinical care experience (in addition to his/her lived experience and unique skills in general). Researcher-Patient collaborations are not yet commonplace in the research process, and as such, the goal of this event is to raise awareness of what can be expected in, and gained from, engaging such collaborations in research. This is an opportunity for both stakeholders to contribute, and for BioCanRx to learn how to foster these engagements and support potential researcher-patient collaborations going forward. More importantly, the participants communicate in their own words to their respective communities the latest developments in this rapidly moving field of immune oncology. We extend our congratulations to John Bell and Lisa Riedmayr and thank the ESGCT for this honour.